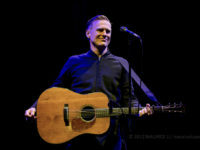 Post Tagged with: "term extension"
Canadian artist Bryan Adams captured headlines earlier this year when he appeared before the Standing Committee on Canadian Heritage and urged reform to the reversion provision that seeks to remedy the bargaining imbalance between creators and music labels/publishers by reverting the rights many years later. Adams noted that creators never experience the benefit of reversion since it applies decades after their death. Instead, he proposed a 25 year reversion rule, which he argued was plenty of time for copyright to be exploited by an assignee. The long-awaited Canadian copyright review is set to kick off hearings next week as a House of Commons committee embarks on a year-long process that will hear from a wide range of stakeholders. My Globe and Mail op-ed notes that according to documents obtained under the Access to Information Act, however, one stakeholder – the Canadian Music Policy Coalition, an umbrella group representing 17 music associations – got an early start on the review process last fall by quietly submitting a 30-page reform proposal to government officials. 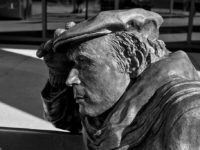 The Canadian government kicked off its review of the Copyright Act this afternoon with a motion to ask the Standing Committee on Industry, Science and Technology to conduct a study on the issue. The formal launch had been expected for months since the 2012 reforms included a mandatory review of the law every five years. Lobby groups have been steadily gearing up for the review, with some hoping to undo some of the balancing provisions of the last reform process or demanding new restrictions. Indeed, restrictions on fair dealing, takedown rules, website blocking, and copyright term extension will undoubtedly figure prominently in the lobby playbook. 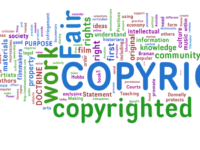 Yet for millions of Canadians, the copyright review offers an opportunity to ensure that the law meets the needs of education, innovation, consumer rights, and creators with more flexibility in the form of fair use and restoring neutrality on Canada’s restrictive digital lock rules. Global groups such as the International Confederation of Music Publishers and the U.S. National Music Publishers Association came to Ottawa this week to lobby the government to extend the term of copyright beyond the Berne Convention standard of life of the author plus an additional 50 years. The lobbying effort kicked off with a Hill Times piece, followed by an evening wine and dine event with politicians, a panel from the supposedly progressive Pearson Centre for Progressive Policy, and then yet more lobbying with Canadian music lobby groups. 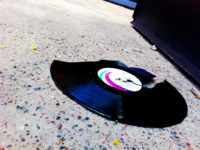 The lobbying campaign comes on the heels of the controversial 2015 copyright extension of sound recordings, which some groups used to sow confusion about the term of protection for sound recordings (from 50 to 70 years) with the term of protection for the composition or written work (frequently longer at life plus 50 years). For the past two months, the Canadian Centre for Policy Alternatives has been publishing an exceptionally important series on the problems with Trans Pacific Partnership. I was pleased to participate in this initiative and yesterday the CCPA posted my contribution. 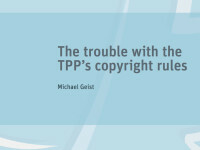 The Trouble with the TPP’s Copyright Rules draws on my earlier Trouble with the TPP series to highlight several of the copyright concerns associated with the agreement, including copyright term extension, the limited applicability of Canada’s notice-and-notice rules, and the expanded criminalization of copyright law.